Our new elfa decor jewellery box sits within a solid wood gliding frame and has a textured faux-leather base to protect jewellery, watches and accessories. The box is finished with solid wood dividers and a lid to protect the contents from dust. 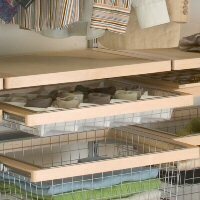 Our elfa decor wooden basket frame on super smooth gliders is a really popular alternative to bulky chests of drawers. 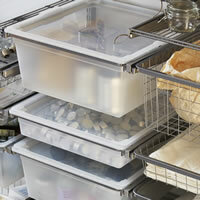 Use in conjunction with a wire basket for storage of folded items in your elfa solution. 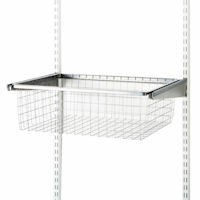 Medium depth elfa wire basket for use with gliding basket drawer frame as shown in photograph with solid walnut frame. Depth of basket is 18.5cm and is ideal for jumpers, linen etc. 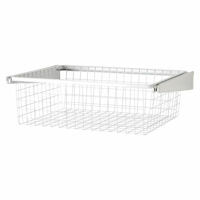 Deep elfa wire basket for use with gliding basket drawer frame. Shown at bottom of image. 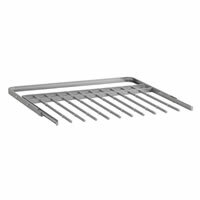 Depth of basket is 28.5cm and is ideal for towel and jumper storage. 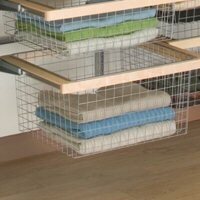 Platinum elfa deep mesh basket and gliding drawer frame in one handy unit. Fits neatly between standard 60cm spaced elfa wall bars. Use our platinum elfa trouser glider to add the finishing touches to your classic solution. 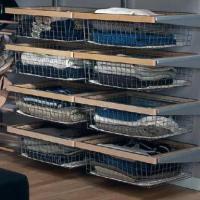 Fits into a standard 60cm bay and can store 10 pairs of trousers. 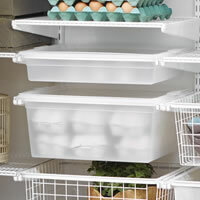 Quality polypropylene lid to clip onto our solid elfa drawer to protect contents. 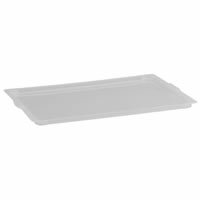 Quality polypropylene lid to clip onto our solid 60cm wide elfa drawer to protect contents. 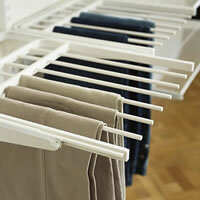 Use our white elfa trouser glider to add the finishing touches to your classic solution. Fits into a standard 60cm bay and can store 10 pairs of trousers. Translucent shallow solid drawer and gliding drawer frame in one handy unit. Fits neatly in a narrow 45cm wide bay. 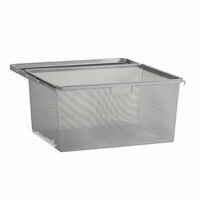 Translucent shallow solid drawer and gliding platinum drawer frame in one handy unit. Fits neatly in a narrow 45cm wide bay. 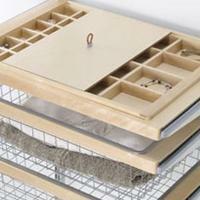 Translucent medium solid drawer and white gliding drawer frame in one handy unit. Fits neatly in a narrow 45cm wide bay. 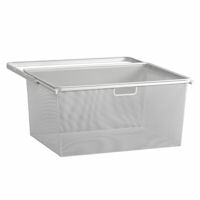 Translucent medium solid drawer and platinum gliding drawer frame in one handy unit. Fits neatly in a narrow 45cm wide bay. 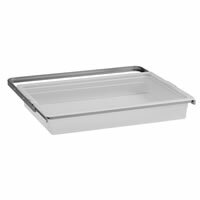 Translucent shallow solid drawer and white gliding drawer frame in one handy unit. 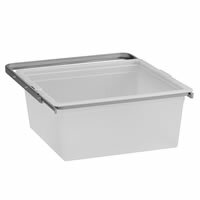 Fits into a standard 60cm wide bay to offer more discreet storage. 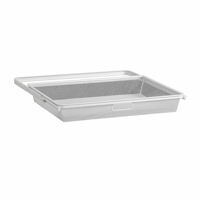 Translucent shallow solid drawer and platinum gliding drawer frame in one handy unit. 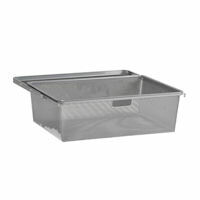 Fits into a standard 60cm wide bay to offer more discreet storage. 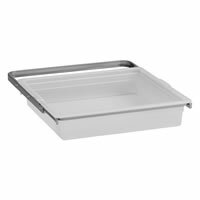 Translucent medium solid drawer and white gliding drawer frame in one handy unit. 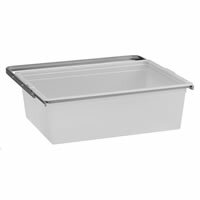 Fits into a standard 60cm wide bay to offer more discreet storage. 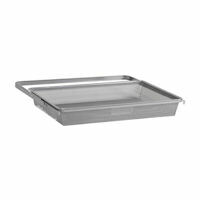 Translucent medium solid drawer and platinum gliding drawer frame in one handy unit. 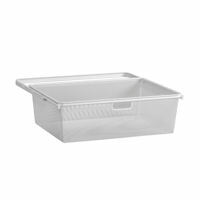 Fits into a standard 60cm wide bay to offer more discreet storage. 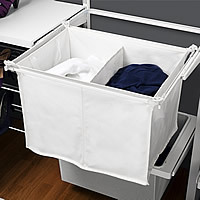 White cotton divided hamper and gliding drawer frame. 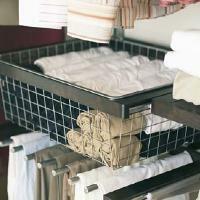 Great for sorting socks from smalls or adding to your elfa solution as a gliding laundry basket.